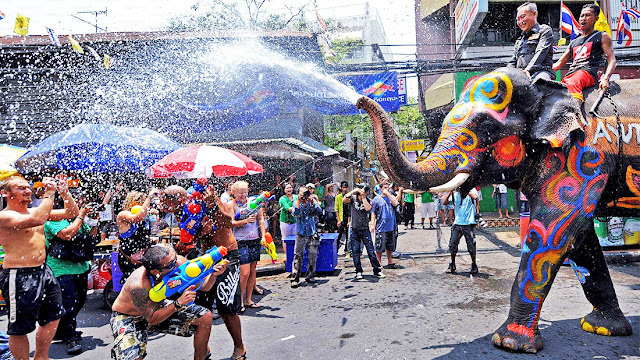 Songkran: Tax deductions on your food and hotel receipts | Keep them! If you don’t have anything planned for Songkran yet which is just around the corner from now, you may want to keep your tummy happy so as to get rebate in the process. Yes, the Tourism and Sports minister has unveiled a tax deduction program that encourage people to eat out at restaurants during Songkran. People who dine at restaurants and keep their receipts between April 9-17 will be able to claim a tax deduction of up to 15,000 baht, said Tourism and Sports Minister Kobkarn Wattanawarangkoon. This scheme however doesn’t apply to booze, but it’s a win-win situation nonetheless. Kobkarn also added that this move will encourage restaurants to legally register in the VAT system. Meanwhile, Finance Minister Apisak Tantivorawong said the cabinet has also approved to bring back last year’s incentive benefits that allow up to 15,000 baht in tax deductions from hotel receipts when txpayers travel inside the country until the end of the year. This means, taxpayers can claim a deduction of up to 30,000 baht along with the Songrkan feast scheme, Prachachart reported. Last December, the junta rolled a similar scheme which allowed another tax deduction of up to 15,000 baht on purchases made during the New Year’s holiday, but this scheme wasn’t implemented this year. The Tourism Minister estimates approximately 2.6 million tourists will celebrate Songkran festival – with 2.1 locals and the rest will be of foreigners. Tourism during the festival is expected to generate 15 billion baht, Coconuts Bangkok reported.